Around the Office - September 2014 | Rocco & Associates Wealth Management, Inc.
On Saturday October 4, 2014, anglers from across Fairfield County will participate in the 6th Annual Saugatuck Cup™ Charity Fishing Tournament. Considered the preeminent charity fishing tournament of the year in the area, The Saugatuck Cup is co-sponsored by Westport Outfitters and our own Eric Johnson, Director of Business Development. The Cup is a one day catch-and-release fishing contest, focused on three different species (Striped Bass, Bluefish and False Albacore), and open to boat, kayak, and shore anglers out on the Sound. More details on the 2014 Saugatuck Cup™ Tournament including entry forms, rules and past winners can be found at www.saugatuckcup.com. Proceeds from the Tournament and event benefit the 9th Floor Foundation, a non-profit organization that has reeled in more than $200,000 to help fight pediatric cancers and Neurofibromatosis (NF), a neurological disease that causes benign and malignant tumors. At Rocco & Associates, we are excited to announce that almost all of our communications will be delivered electronically in 2015! After extensive sustainability reforms in 2014, we are ready to unroll the paperless system to all members of the Rocco & Associates family. In preparation, we ask the any existing clients who prefer to receive their communications via regular mail inform us before the end of the year. If you would also like to receive your account statements electronically, please give us a call and we will be happy to assist. If you would like to jump on the sustainable train earlier than 2015, please email [email protected] and we can make you a sustainable client today! As we enter into the Fall months, the thought of year end taxes creep into the minds of many. Tax time is not just an opportunity to review your account, but also a great time to update your estate plan, review your liability coverage, engage in charitable outreach, and take a second look at your overall financial outlook. 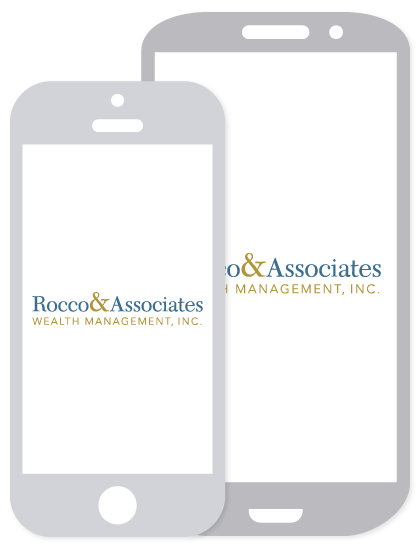 Rocco & Associates is here to help; our team, combined with our extensive network of trusted wealth services providers, will gladly evaluate any financial consideration you have on your mind. If you are unsure whether or not we can help you, we encourage you to ask the question; if we can’t help you directly, we can refer you to someone who can! "Being part of the Rocco & Associates team is something that I take great pride in; they are a special group of people and welcomed me with open arms into the family. Right away, I noticed how everyone feeds off of each other’s energy and is always there to pick someone up and motivate one another so that everyone can reach their full potential. I am confident that Rocco & Associates will push me to my full potential. This one of a kind opportunity will give me valuable hands-on experience, increased knowledge of the financial field, and help me prepare for Level 1 of the CFA, which I plan to take in June. Receiving this internship in which I work with motivated, well-rounded individuals is something that I am thankful for, and will cherish."